From 3 February 2019. we are making some changes to how we run our Sunday morning worship in order to break down barriers between our adult, children and youth services. 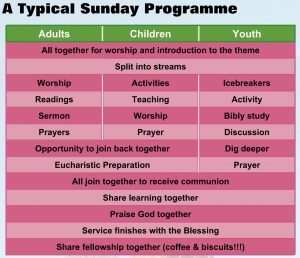 For the past 16 years, we have been running separate children’s worship services in the Church Hall and, more recently a separate Youth programme in the Vicarage. 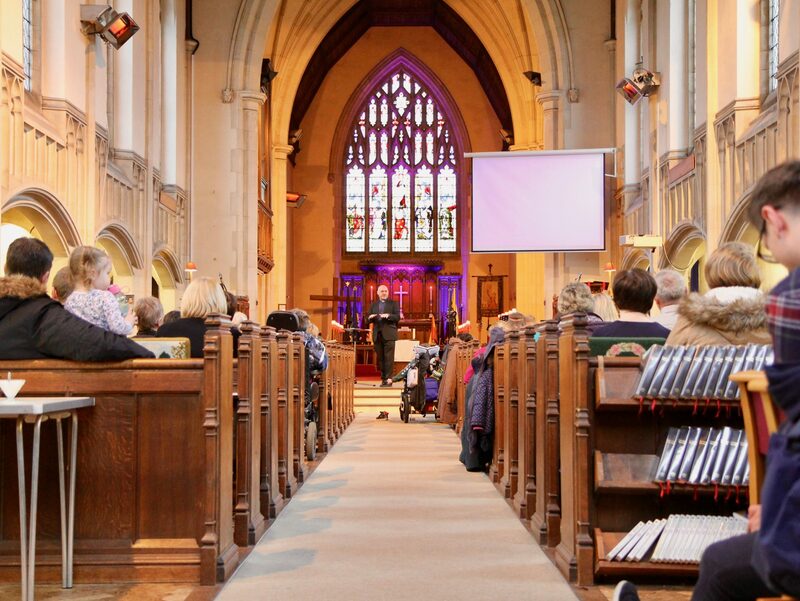 Last year, we changed our 3rd Sunday pattern so that the main service started at 10.30am every week. We will all join together to share Communion. We will continue with the first Sunday of every month being an all-age friendly service with parade services at least six times per year. The streamed programme will generally run all other Sundays. NB There is no change to our 8am Holy Communion service each week or to the Evening Service pattern.